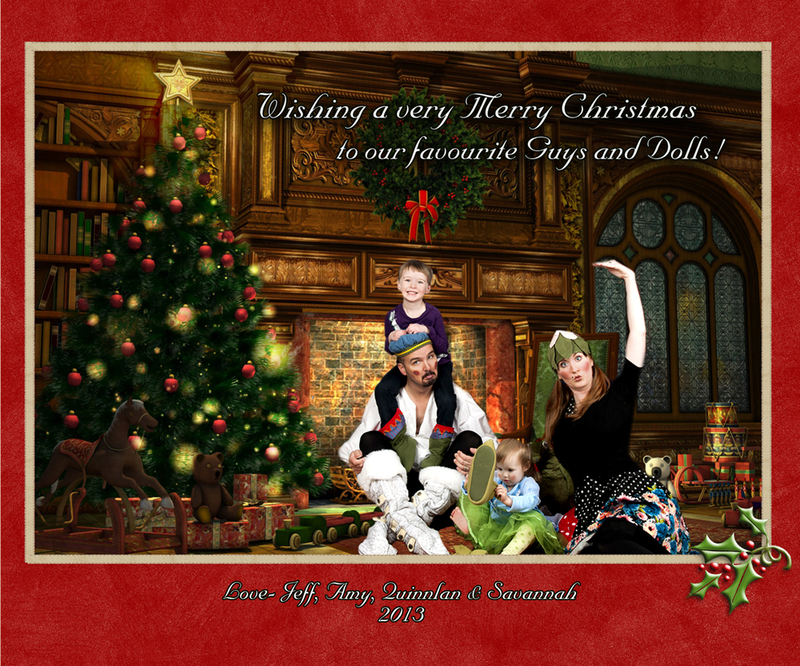 I realize our 2013 Christmas card was not posted :( please forgive me. There was this whirlwind I got caught in...called Christmas... and winter weather... and it was very dark and very cold. You see, we, like thousands just like us were left in the dark (literally) until Christmas Eve. Our lights went out just mere hours after my previous post for over 48 hours. Now we were the lucky ones, many still didn't have power by Christmas and I don't know how they managed. We ended up in Toronto seeking refuge with a well loved family member who was willing to take on an extra 4 people in their house for an unforeseen amount of time. We then left the day our power was turned back on and headed to my parents house for dinner, returned home, woke up Christmas morning and celebrated with the kids until 2, then hopped in the car and drove 3 hours to another relatives for Christmas festivities. We did all this while 2 out of 4 of us were sick, and we ended up in Emergency for 5 hours with our daughter who had a temperature of 104 (she is fine now and they couldn't find anything wrong with her!). So needless to say I needed some time to recoup upon our return home. Now, I am just so happy that we are in the New Year and I have managed to find some relief from the final days of 2013. So, although this is anticlimactic I still thought I would post our Christmas card from 2013... and of course... Happy New Year Everyone!